Please note that registration for the 2019 Nursing History Symposium is now open online. You can attend in person or via webcast. 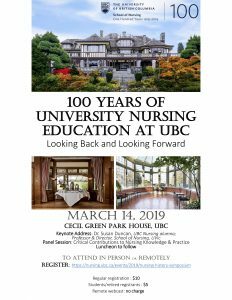 Keynote speaker Dr. Susan Duncan, Director of the School of Nursing at the University of Victoria at UBC SoN Alumna, will reflect on 100 Years of Nursing Education – Looking Back and Looking Forward: Why Then? Why Not Now? 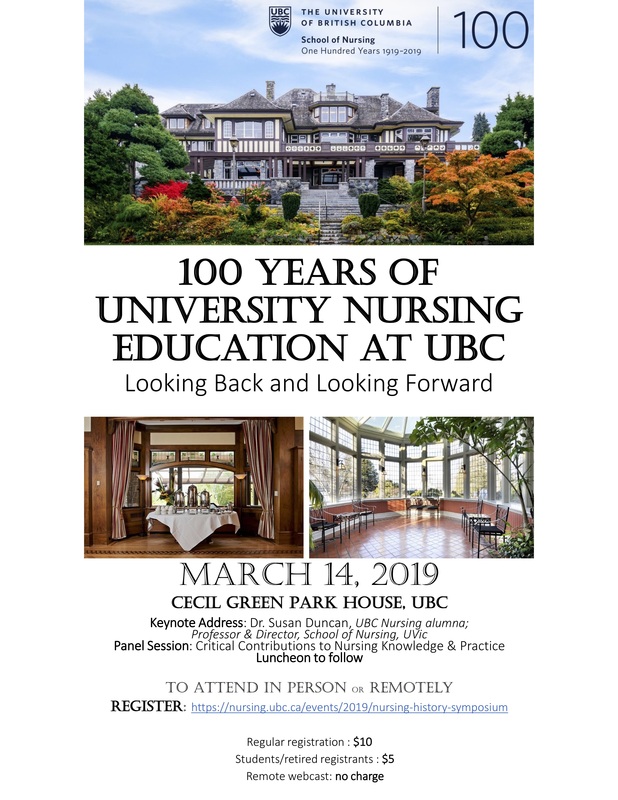 Following the keynote presentation, there will be a panel session on Critical Contributions to Nursing Knowledge and Practice: Looking Back and into the Future of Nursing Education.